During the Ediacaran Period, which lasted from about 635 million to 542 million years ago, all life lived in the sea, and most creatures were immobile and soft-bodied, with mysterious wavy, frondlike shapes. But in the 1970s, scientists discovered evidence of Cloudina, the earliest fossil animals to have skeletons. The pencil-shaped sea creature could grow to about 5.9 inches long. A cross-section of the tubular shape shows that it would’ve been about 0.3 inches in diameter, Wood said. Like modern-day corals, the youngest cone in the stack would have been alive, while the rest would be dead, Wood said. But scientists knew little about how these enigmatic creatures lived. 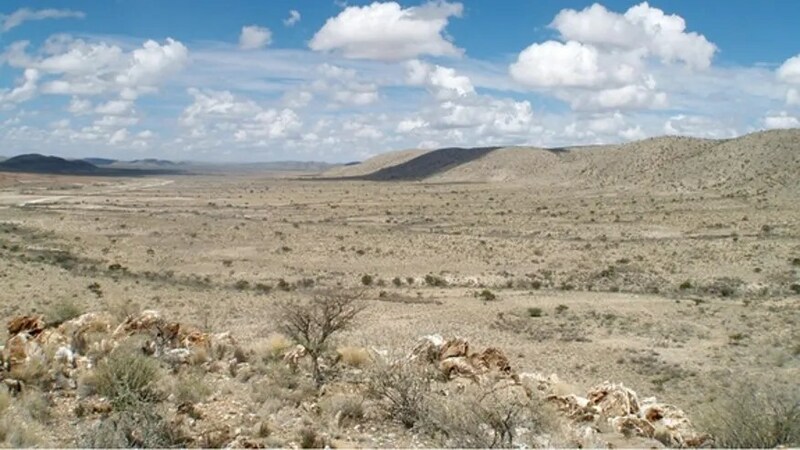 Late last year, while excavating in Namibia in a region known for Ediacaran fossils, Wood and her colleagues found evidence for a vast network of reefs built by Cloudina about 548 million years ago. Like modern-day corals, the primeval creatures excreted calcium carbonate, which cemented them to each other and helped grow the reef. The ancient Cloudina reefs the team discovered grew in patches atop a massive stromatolite-formed reef complex that spans nearly 4.3 miles, Wood said. “If you were snorkeling over it nearly 550 million years ago, you’d see areas of green surface, from stromatolites, and then you’d see these little patches of tubes all growing together, forming a little thicket, or mound, on the seafloor,” Wood said. Cloudina likely formed reefs to protect itself from predators. In China, for instance, scientists have unearthed Cloudina fossils with holes drilled in them, likely from acid secreted by a predator animal, Wood said. Clumping together on reefs would have also brought nutrient-rich currents close to the filter feeders at a time when more life forms were competing for space and food, the authors said. “All together it paints a picture of quite significant ecological complexity,” Wood said. The fossils were described today June 26 in the journal Science.